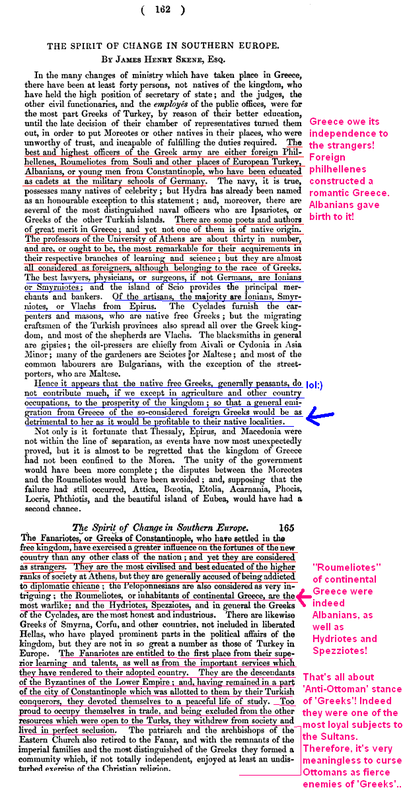 #Despite Albanian and Fyromian propaganda,it's beyond doubt that all 19th century sources agree on this:Greeks were clearly the majority within the boundaries of the first Greek state,while Arvanites were between 1/4 and 1/6 of the total polulation (170.000 to 220.000).However after the annexation of Thessaly (1878) and the Ionian islands(1864),regions with no (or very insignificant) Arvanitic population the percentage of the Arvanites decreased even more,and especially after the Balkan wars and the annexation of Crete,the Eastern Aegean islands,Macedonia,Epirus and Thrace. That's cheating! With the inclusion of Epirus, Aegean Islands and particulary of Thessaly the percentage of Albanians in the Kingdom increased even more. It's a well-attested that a considerable portion of Aegean islands were predominated by Albanians. All western sources neither Albanian nor Macedonian, stresses out that Albanians were the majority in terms of territory in what later become as Kingdom of Hellas. 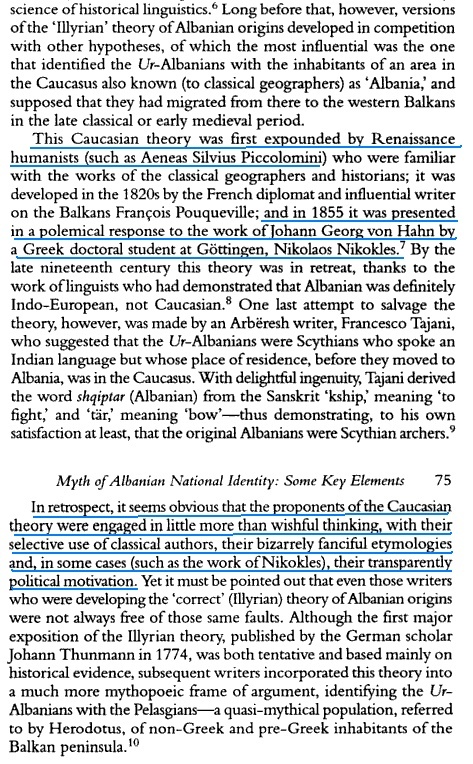 I'm not saying that Albanians make up the majority of 'Hellas' because the rest consisted of Vlachs, Slavs, Turks, Jews, etc. It's not important who formed the majority of 'Hellas' at that time, but who exercise most prominent role in the flows of events that precede formation of 'Hellas' as a state. 1. For the sake of argument let admit for a second that Greeks clearly formed the majority of population in Kingdom. If they were a majority then they would be main champions of their independence. 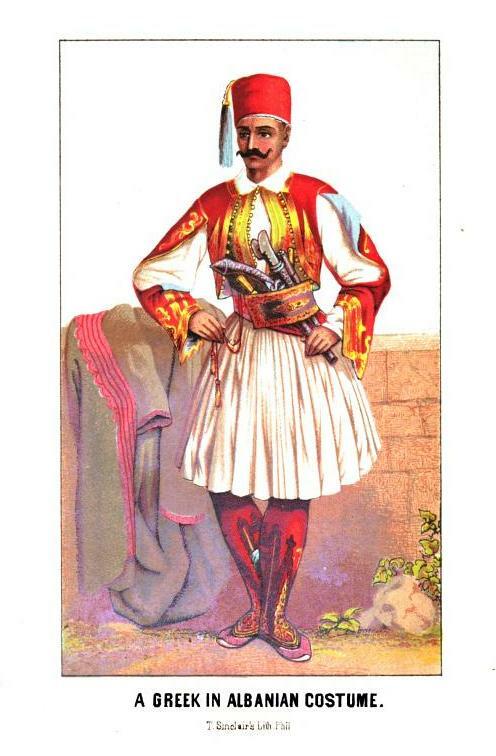 How come that the best and highest officers of the Greek army were either foreign Phil-Hellenes, Albanians from all corners of Ottoman empire, cadets from Germany, etc. 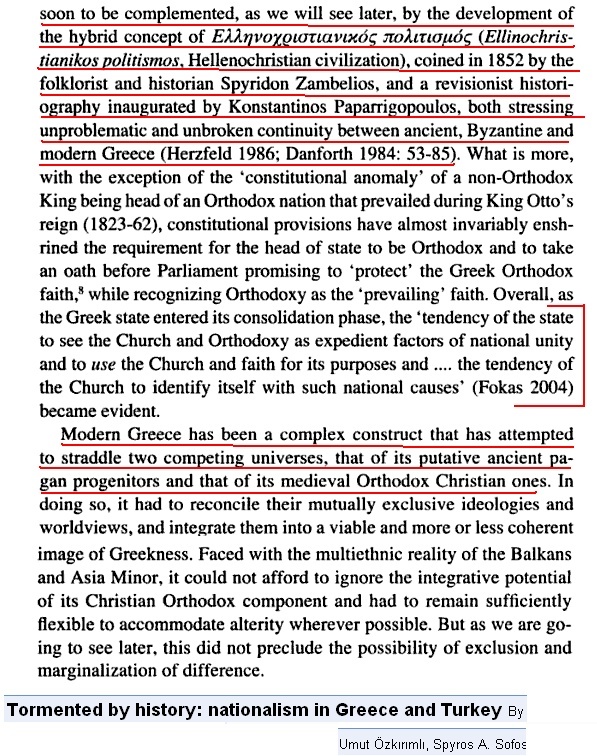 Why is that minor Greek presence into main institutions of the state? 2. If Greeks again were the majority, then how come that Greece owes every achievement to the strangers? Why those ‘strangers’ were in every corner of ‘Greek’ life: universities were full of Phil-Hellen professors, highest ranks of the army were full of Germans, Albanians, etc, trade was predominated by Vlachs, Albanians, etc. 3. If Greeks were a majority in Kingdom, then why James H. Skene said that they ‘do not contribute much’? 4. 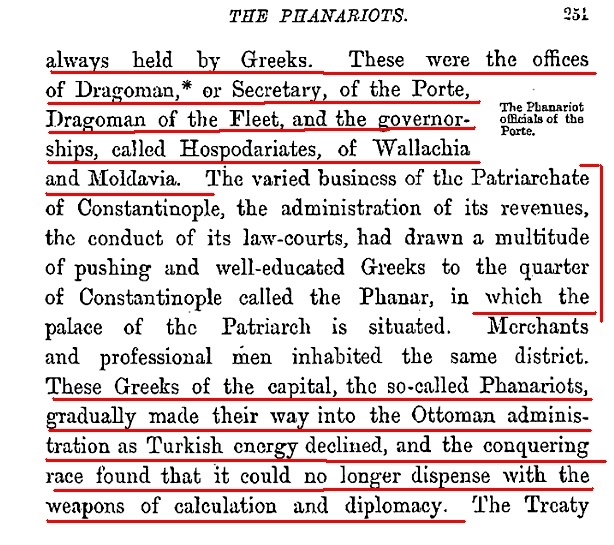 Let suppose that Phanariotes exercised a prominent influence in fortunes of the new emerged state…then why these ‘champions’ of Free Greece were one of the most loyal subjects to the Sultan? The Albanians are found in the north of Eubea and in other islands ; in Attica, away from Athens and the Piraeus, nearly all the people are Albanians, many of whom are completely fused with the Greeks. Indeed crystal clear! The famous Independence War was not a glorious epic battle between evil 'Turks' and angel 'Greeks' as many deluded Greek historians believe. It's not possible to count one by one evidences that Greeks and Turks had not any major influence in the flows of events. That's why the Paneton of Heroes is full of Albanian and Vlachs warriors and not Greek priests who dare not even to pass beyond their churches. Ironically, after Greece became more fundamentalist in terms of religion all Albanian heroes were covered with silence and obscurity. Instead, as heroes were opted fanatic priests from the ranks of clergy who did not care much for independence because of their love for being Sultan's loyal lapdogs. It looks quite funny when Cyber 'Greek' patriots try to construct a simplistic concept of War: the poor Greeks were surrounded on all sides by ferocious Muslim Albanians. 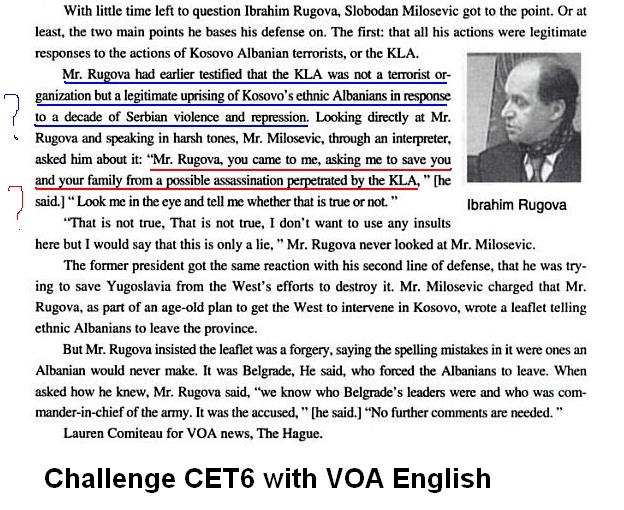 The plain truth is that both sides were Albanians. Day by day I am convincing myself about the general weakness of everything that is labeled 'Greece' or 'Greek'. Gjatë kohës së pushimit veror, do të fillojë edhe ndërtimi i rrethojës së kompleksit shkollor, gjë që do të ndikojë pozitivisht edhe në ngritjen e efikasitetit. Edhe vendimi i Kuvendit Komunal për ruajtjen e vendeve të punës për drejtorët e shkollave, ka ndikuar pozitivisht, sepse tani ka më shumë të interesuar për këto pozita. Nga një konkurrencë e mirë janë përzgjedhur gjatë këtij viti shkollor 30 drejtorë dhe zëvendësdrejtorë në shkollat e komunës së Gjilanit, ku janë respektuar kritere profesionale. Po ashtu janë përpiluar edhe kriteret për punësim në shkollat e këtushme si dhe kriteret për zhvendosje të brendshme të kuadrit mësimor. Edhe sa i përket suksesit, Nevzati shprehet i kënaqur. Nota mesatare e nxënësve, në nivel komunal, që përfshin klasat nga 1-13, është 4.02. Sukses më të mirë kanë nxënësit e klasave 1-5, të cilët kanë arritur notën mesatare 4.56. 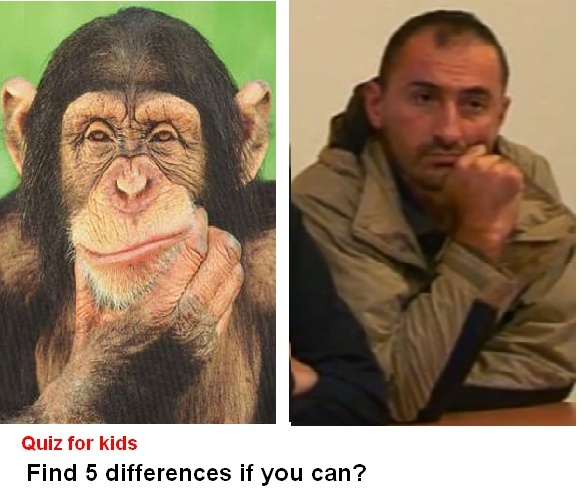 Por, drejtori i Arsimit nuk është i kënaqur me testin e maturës, pavarësisht se rezultati i Gjilanit prej 48 për qind kalueshmëri, është mbi mesataren e Kosovës, që është 42 për qind. Te testi i nxënësve të klasave të nënta, kalueshmëria është afër 60 për qind. Nevzati ka thënë se për të gjithë semimaturantët do të ketë vende për regjistrim në shkollat e mesme, ku sivjet do të pranohen rreth 2.100 nxënës në 70 paralele. Ndërkohë do të hapet edhe konkursi për mësimdhënës në shkollat shqipe dhe ato në gjuhën serbe, të cilat po ashtu janë integruar në sistemin arsimor të vendit, sa i përket pranimit të kuadrit drejtues dhe mësimor. Seanca mbahet në sallën e mbledhjeve të Kuvendit të Komunës së Gjilanit, më 15.07.2011 (e premte), në ora 10.00. Seanca e Kuvendit të Komunës së Gjilanit do të mbahet në sallën e mbledhjeve të Kuvendit të Komunës së Gjilanit, (ish ndërtesa e Bankkosit) më 15.07.2011 ( e premte) në ora 10.00. Totally gibberish! On the contrary, the majority of ancient literary testimonies provide without any doubt the Non-greek being of Epirus (a wide region covering the southern Albania up to the Ambracian bay). This region was filled up by a multitude of tribes. As Theopompus put it, there were fourteen tribes dwelling those areas, without giving any detail about their ethnic nature. Strabo the Geographer gives a more clear account on the ethnic nature of them. According to him, the northern Epirotic tribes were quite similar to those of southern Illyria, as manny ancient observers applied the term 'Macedonia' to describe the lands from Macedonia up to the Corcyra island in west. Ancient writers did not reckon the dwellers of Epirus as part of Greek ethnos. Herodotus shred some light about the temple of Dodona and Thesprotia which were known to Greeks of his time, but however this gives no answer on ethnic character of the Epirots. Wheras in another fragment he draw the boundaries of Greece on the basis of military contigents who took part in the Troy War on the side of Greeks. According to this point of view, the Leucade and Ambracia marked the furthest northern point of Greece (Ἀμπρακιώτῃσι καὶ Λευκαδίοισι, οἳ ἐξ ἐσχατέων χωρέων ἐστρατεύοντο). Thucydides in his interesting account mirrors the events occurred in the Epirus in the end of V'th century B.C, the time when united Epirotic armies waged a series of battles against Hellenes (Spartans). The Greeks of his time perceived unequivocally Epirots as foreigners, which is why they labeled them as 'barbarians', as they did for either Illyrians, Macedonians, Thracians, Etruscans, etc. In subsequent years, the ethnic antagonism between Greeks and Epirots continued, even though aristocratic elites appears to receive a strong Hellenic culture. This event constitute an argument on its own: if Epirots got heavily hellenized, this does mean that they were previosuly non-Greeks, most likely Illyrians. Mythical genealogies were risen as far as they were seen as effective tools in legitimizing the intrusion of Epirots in Greek world, as a potent power. It was Pyrrhus of Epirus who conquered a large section of Greece, by expelling for a while Macedonians. And how come that Epirots were Illyrians in any way? In October 1984, 70 historians and archaeologists from Greece, Albania, Romania, Italy and several other countries of Europe convened in Clermont-Ferrand, France. They held a colloquium with a group of Specialists in ancient history who were working there under the direction of Proffesor Pierre Kaban, the renowned expert on Epirus. They compared studies on the tribal and ethnic groups which gradually organised into urban life, then federated into state organisations. They compared juridical institutions such as family right of ownership, the role of the woman in the family and the procedure in freeing slaves. Similarities of Epirotes centers like Dodona and those of Southern Illyria were evidenced by the layout, architecture, and political organisation, also the circulation of coins, the structure of groves, the burial rites and articles found in the tumuli. 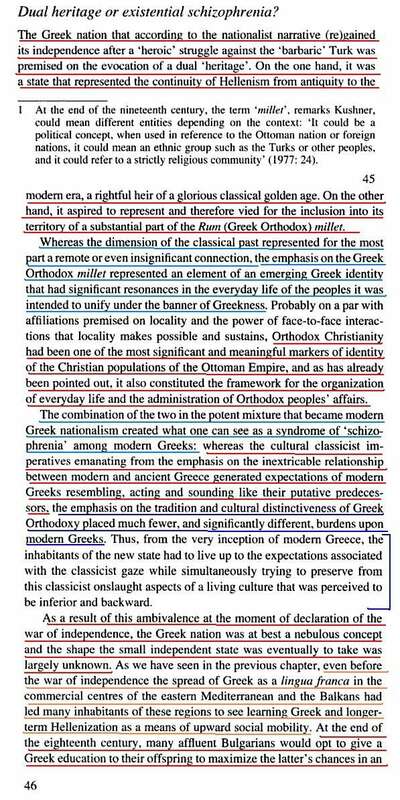 But scholars concluded that from early antiquity until the Roman times THAT CULTURE OF SOUTHERN ILLYRIA AND EPIRUS, INCLUDING MOLOSSIA, WAS QUITE DIFFERENT FROM THAT OF CLASSICAL GREECE AS FOUND IN ATHENS AND SPARTA' (Jaques 1995:80/81). It has been assumed that Herdotus implied that the people of Epirus were Greeks. This comes from a vague verse taken from Herodotus [Book 4: Melpomene33]: "...and the people of Dodona receive them first of all the Hellenes" (πρώτους Δωδωναίους Ἑλλήνων δέκεσθαι). However, this interpretation has been canceled for the first time by Charles Anthony: "Though Herodotus speaks of Thesprotia as a part of Hellas. He refers later to its old condition, when it was a celebrated seat of the Pelasgians, than to its state at the time when he wrote his history". It was a Greek lexicographer like Hecateus of Miletus who notice that what was Greece in his time was previously inhabited by a non-Greek people, which he called as 'barbarian'. (Ἑκαταῖος μὲν οὖν ὁ Μιλήσιος περὶ τῆς Πελοποννήσου φησὶν διότι πρὸ τῶν Ἑλλήνων ᾤκησαν αὐτὴν βάρβαροι). Plutarch records in his account an interesting detail when Pyrrhus as a little child went to the Illyrian king, Glaucias of Taulanti. The Illyrian king escaped the poor Pyrrhus from his dangerous rivals, and treated him generously as his own son. Many years later, Glaucias headed a large Illyrian army which settled Pyrrhus upon throne of Epirus. 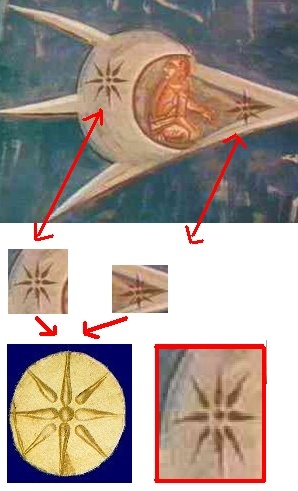 This mirrors the narrow relations between Illyrians and Epirotes; they intermingled with one another as they engage marries even in royal level. As far as literary tradition goes on, we find not a single evidence to suggest any major difference between Illyrian and the language of Epirots. Archeological discoveries done mainly after 1950's revealed a cultural unity between two areas. Accordingly, when all who pronounced words thickly were being called barbarians onomatopoetically, it appeared that the pronunciations of all alien races were likewise thick, I mean of those that were not Greek. Those, therefore, they called barbarians in the special sense of the term, at first derisively, meaning that they pronounced words thickly or harshly; and then we misused the word as a general ethnic term, thus making a logical distinction between the Greeks and all other races. Egyptian seers to give their opinion. They were well aware that the annual cycle follows a pattern of changes, that the moon is eclipsed when it passes behind the earth or is blocked by the sun, but they did not give this explanation, which they themselves knew, to the common soldiers. Instead, they declared that the sun represented the Greeks and the moon the Persians, and that an eclipse of the moon predicted disaster and slaughter for those nations.
" the whole Greek race were called Hellenes etc. In historical times the Greeks called themselves Hellenes and their country Hellas. But they had a tradition of a time when their national name was Graikoi, which is identical with the Latin Graeci and English Greeks. Thus Aristotle(Metereologica i.14, p.352) says that Deucalion's deluge took place "in ancient Greece, and ancient Greece is the district about Dodona and the Achelous. For there dwelt the Selli and the people who were then called Grikoi but are now called Hellenes", Stephanus Byzantius-referenca te mentions a certain Graecus(Graikos), son of Thessalus, after whom the Greeks(Hellenes) were named Graikoi; and he adds that the mothers of the Greeks(Hellenes) were named Graikes by Alcman and by Sphocles in his lost play The Shepherds. The name Graikos occured in Callimachus, as we learn from the writer of Etymologicum Magnum, who tells us that the Greeks were called Graikoi either on account of their bravery or after a certain man Graikos. According to Apollodorus(i. 7.3) the change of the national name from Graikoi to Hellenes was made by Hellen, who called the people Hellenes after Himself(Hylli ?). [b] The Parian Chronicle assigns this change of name to the year 1521 BC(Frag. Historia Graeca ed. Muller). 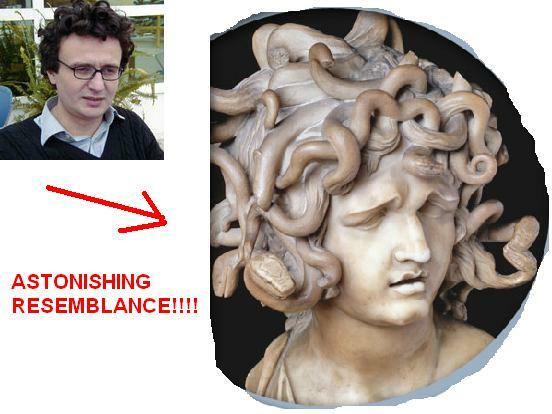 A different view is that of Victor Hehn (Kulturpflansen und Hauthiere. p.51) He supposes that the ancestors of the Greeks, after fighting their way through the mountains and forests of the wild Illyrian coast to Dodona(pra Epirus = Iliri - shenim), settled for a time in Epirusl that they had two national names, Graikoi and Hellenes and that while the latter spread eastward, the former(Graikoi) prevailed in the westand was transmitted across the sea to the Italians." Hellas was originally the name of a town or district in Thessaly, and in this sense alone does it occur in Homer(Ebeling, Lexicon Homericum). The name Hellenes occurs only once in Homer(II. ii. 684), where it is applied, not to the Greeks in general, but only to the people who inhabited the Thessalian town or district of Hellas. Thucydides remarked (i. 3) that Homer never calls the Greeks Hellenes, but always Danai, Argives or Achaeans. The anme Panhallenes is found once in Homer (IL. ii.530) in the sense of "all the Greeks" but the line was rejected by Aristhacus(Ebling, Lexicon Homericum). The question whether the Homeric Hellas was a town or a district was debated in antiquity(Strabo ix. p431), and opinion is still divided on the subject/ The Roman geographers confined the name Hellas to the portion of Greece north of the Isthmus of Corinth." 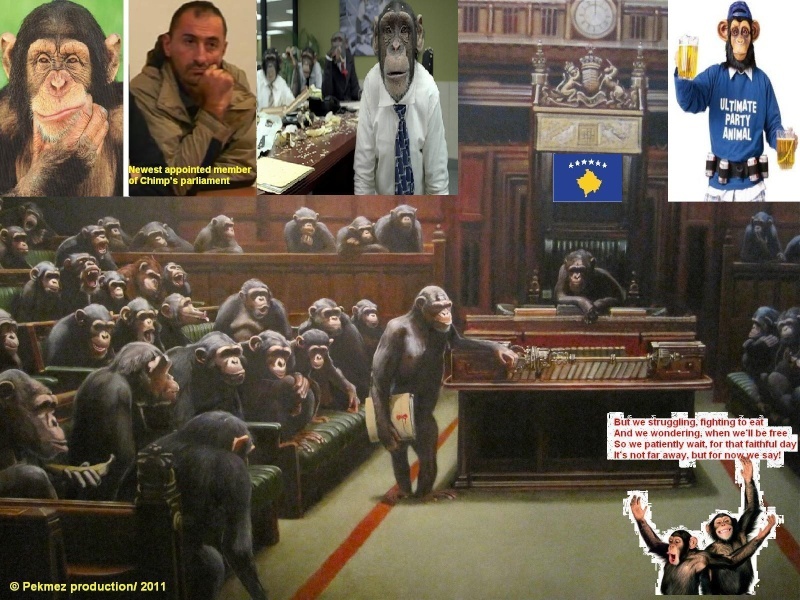 Delegacionet e Kosovës dhe Serbisë mund të kthehen sërish në tryezën e bisedimeve, madje që nga e hëna e ardhshme. Deri më tani vlerësohet se janë kryer të gjitha konsultimet e nevojshme për agjendën e takimit të radhës. Sipas shefit të ekipit negociator të Serbisë, Borisllav Stefanoviç, takimi në fjalë vjen pas një kohe të gjatë tensionesh për kufijtë në veri. Ai ka theksuar se Serbia nuk mund të detyrohet që vendkalimet administrative, siç i ka quajtur ai, t’i trajtojë si kufi shtetëror. Diplomatët amerikanë dhe ata evropian javën e fundit kanë qëndruar në Beograd dhe Prishtinë për të nxitur rifillimin e bisedimeve. Sipas të gjitha gjasave, menaxhimi i integruar i kufijve, për të cilën thuhet se është propozuar nga ndërmjetësi evropian Cooper, do të jetë njëra prej çështjeve që do të trajtohet në takimin e radhës. Kjo ide nuk është pëlqyer gjithaq në Prishtinë, përderisa së fundmi është kundërshtuar fuqishëm edhe nga kreu i Kuvendit të Kosovës, Jakup Krasniqi.